For smaller vases or jars, try Budable! It’s a stretchy silicone cap that stretches up to 4x its size. The tiny holes are perfect for precise control of your flowers, even allowing flowers that have been cut too short to stand up at any length. 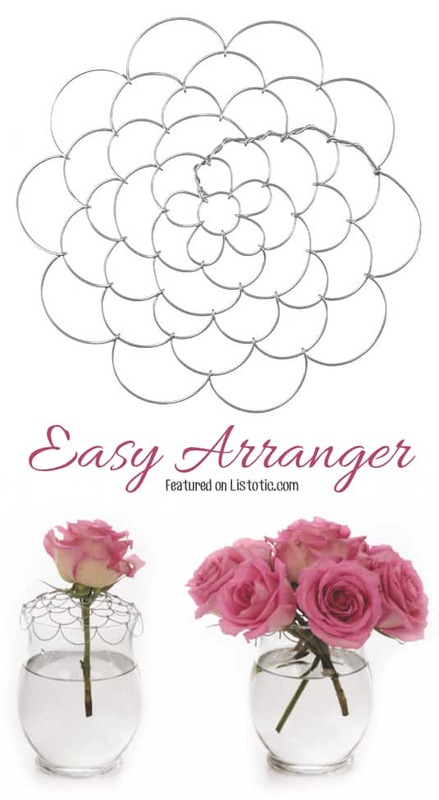 My favorite thing about this design is how easy it is to change the water without having to rearrange the flowers again, although you do have to make sure the rim of your vase is 100% dry or it will slip out of place. I even clean the rim of my vases with rubbing alcohol before apply this cap for a better hold. Also, be careful with thorny flowers like roses because they will tear the silicone. The thorns must be removed first to prevent damage. Out of all of the flower arranger helpers, this Easy Arranger is probably my favorite! It comes in a 3 pack of varying sizes, and they fit all of my vases. What I like most about it is that they are bendable, and because of their rustic look, it doesn’t bother me if the wire shows a bit over the edge of the vase. The only downfall is that it is more difficult to change the water without having to rearrange the flowers a bit, unlike the Budable. 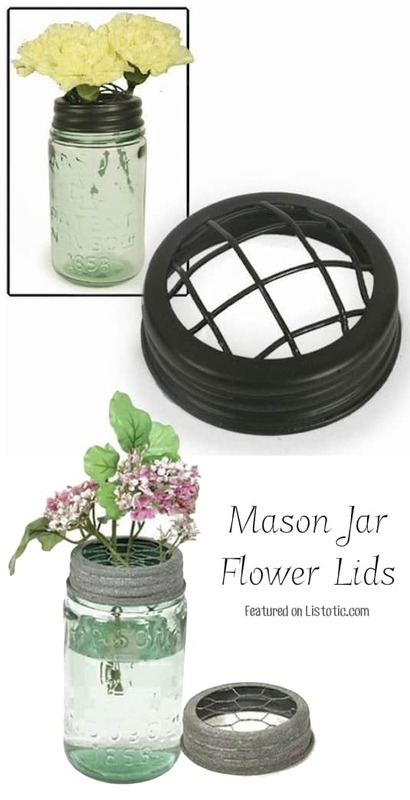 I stumbled across these mason jar flower lids while on my hunt for an easier way to arrange my flowers, and couldn’t resist sharing! I use my mason jars as vases more than anything else, and I honestly can’t believe I didn’t know about these before. They’re so simple to use, and I also love the added rustic touch to the jars.